We know there’s an art to doing business. For over 20 years, Media Arts Lawyers has given practical and commercial legal advice to clients throughout the entertainment, media, and creative industries. Acting for high-profile talent and multinational companies alongside emerging and fledgling projects, we set the benchmark for creatively strategic legal solutions – no matter the deal size. Our combined experience means that we have the skill, deep networks, lateral thinking, and foresight to achieve the best commercial outcomes for our clients. We don’t just do the paperwork, we think creatively to develop strategic solutions and structure intelligent deals. A nice doff of the cap from SMH to our clients Angie McMahon, Amyl and The Sniffers, Oh Pep! and @Body Ty following their SXSW showcases. Extra kudos to Angie McMahon who took out the prestigious Grulke Prize for Developing Act, awarded to artists who are breaking new ground with their creativity. This week our Paralegal, Chloe Lucchesi, was admitted to the Victorian Supreme Court and begins her career as a lawyer. Congratulations Chloe! We are proud to welcome you to the profession and wish you a long and rewarding career. Congrats to our client, venture studio, Josephmark for their important work with The Australian Literacy & Numeracy Foundation (ALNF) on helping preserve indigenous languages. They just won the SXSW Interactive Innovation Award for “Connecting People”. Media Arts Lawyers at SXSW: Headed to SXSW? So are we! Media Arts Lawyers are hosting a mixer on Thursday 14 March at the Line Hotel from 5-7pm, so drop in and say hello! Julian, Stephen and Marcus will be also be around for the week. Email Marcus at marcus.walkom@mediaartslawyers.com to organise a catch up. International Women’s Day: Happy International Women’s Day! Shout out to all our amazing female lawyers and clients who are accomplishing great things across the creative industries. A very special mention to our CFO, Maria Amato, who has been listed this week at #35 in The Power 50 – a list of the most influential people in the Australian music industry. The ‘Don’t Kill Live Music’ rally saw tens of thousands of Sydney-siders gather in Hyde Park in support of Australian musicians and music festivals. Two weeks on, the NSW government’s Music Festival Licensing Scheme and Guidelines are now in force. This regime will only apply to specified festivals as determined by the Independent Liquor and Gaming Authority. If you’re unsure if your live music event may be affected, you can contact Kristin at kristin.churley@mediaartslawyers.com. 5. Amy Shark – I Said Hi 7. Mallrat– Groceries 9. RUBY FIELDS – Dinosaurs 11. Skegss – Up In The Clouds 14. Wafia – I’m Good 15. Hayden James – Just Friends (Feat. Boy Matthews) 21. The Rubens – Never Ever (Feat. Sarah) 22. RÜFÜS DU SOL – Underwater 23. RÜFÜS DU SOL – Treat You Better 24. Hilltop Hoods – Leave Me Lonely 29. Peking Duk – Fire 30. Cub Sport – Sometimes 31. Alison Wonderland – Church 32. The Rubens – God Forgot 36. Amy Shark – All Loved Up 37. Ziggy Alberts – Love Me Now 38. G Flip – About You 41. DMA’S– In The Air 42. Ziggy Alberts – Laps Around The Sun 44. Hilltop Hoods – Clark Griswold (Feat. Adrian Eagle) 47. DZ Deathrays – Like People 49. Angie McMahon – Missing Me 50. 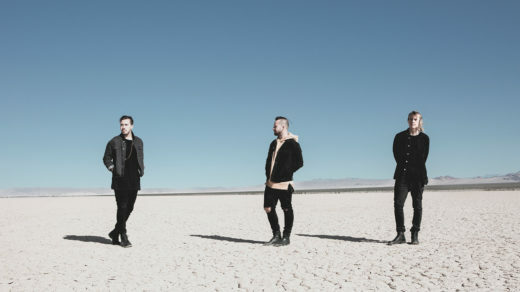 RÜFÜS DU SOL – No Place 53. Vance Joy – We’re Going Home 54. Vance Joy – Saturday Sun 55. Peking Duk – Wasted 57. The Presets – Martini 60. DMA’S – The End 62. G Flip – Killing My Time 64. Middle Kids – Mistake 65. METHYL ETHEL – Scream Whole 66. Flight Facilities – Need You (Feat. NÏKA) 70. Mallrat – UFO (Feat. Allday) 71. Skegss – Smogged Out 78. Hayden James – Better Together (Feat. Running Touch) 79. Thelma Plum – Clumsy Love 81. Jack River – Ballroom 87. Ruel – Younger 88. WAAX – Labrador 89. Ruel – Dazed & Confused (Prod. M-Phazes) 93. Trophy Eyes – You Can Count On Me 94. The Amity Affliction – Ivy (Doomsday) 97. DMA’S – Do I Need You Now? 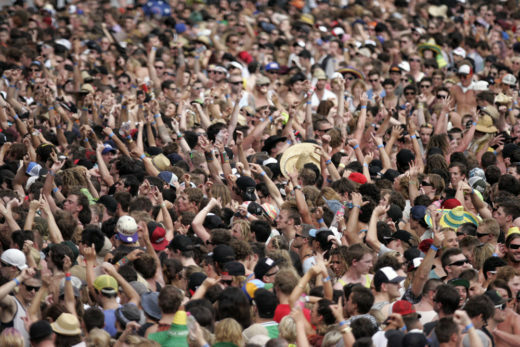 The NSW government will be introducing a new type of liquor licence specifically for music festivals from March 2019. Each licence will be approved by a specialist panel and it is reported that a breach of licence conditions may see organisers face penalties of up to $110,00 or imprisonment. For more information on how this may affect your business, email kristin@mediaartslawyers.com. 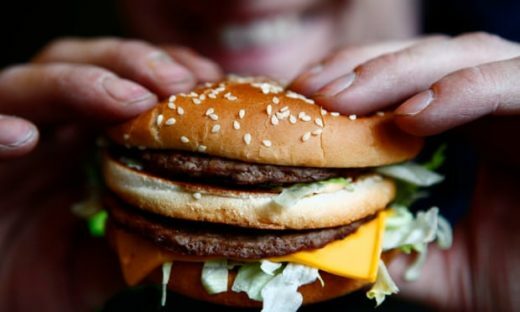 The European Union Intellectual Property Office (EUIPO) has removed McDonald’s ‘Big Mac’ trade mark in the EU. The decision follows a challenge from Irish fast food chain ‘Supermac’ for McDonalds to prove continuous and genuine use of the trade mark across the EU, to which the EUIPO found insufficient evidence of use beyond UK, France and Germany. Whilst the judgment will most-likely be appealed, it serves as a reminder that simply registering a trade mark will not guarantee protection unless you can also demonstrate actual, sustained use the mark. Massive shout out to our clients Tame Impala and RÜFÜS DU SOL who have both been announced on the line-up for the Coachella Valley Music and Arts Festival 2019. 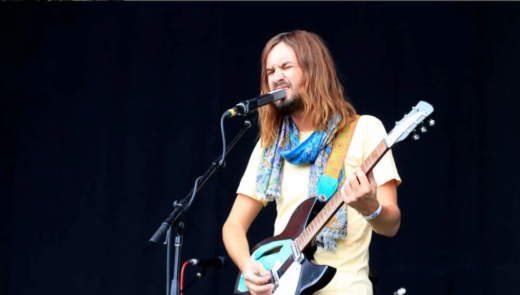 Tame Impala will be the second Australian act in history to headline the world-renowned festival. It’s 2019, which means that all copyrighted works in the US that were published in 1923 have now fallen into the public domain (with a few exceptions). This marks the first time since 1998 that works in the US have entered the public domain due to various copyright extension acts that have steadily increased the term of copyright protection. Will 2019 see another attempt from the US to continue to extend the duration of copyright protection, or has it reached it’s limit? Our very own Marcus Walkom gives you the lowdown on Taylor Swift’s new record deal with Universal Music Group’s Republic Records and explains how this will impact other artists on Universal’s roster. We are very excited to welcome Sarah Caughey to our Media Arts Lawyers’ Auckland office! Sarah joins the firm after practising for over ten years in London where she worked in both private practice and at the British Film Institute. Sarah’s practice focuses on the financing, production and exploitation of audio-visual content, particularly film and television. Sarah has acted for a vast range of clients in the entertainment industry including studios, mini-majors, independent production companies, financiers, public film bodies and distributors. It was a fantastic year at the ARIAs 2018, with Australian female artists dominating the awards! 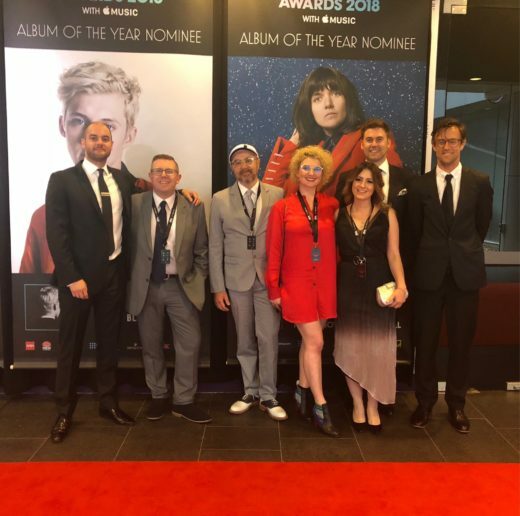 Congratulations to our clients who were winners, with a special shout out to Ruel for being the youngest artist ever to win an ARIA, Courtney Barnett for being the first female solo artist to win the ARIA for the Best Rock Album, and Amy Shark for scooping up ARIAs in three massive categories! We are very proud to welcome Steve Rosser to the Media Arts Lawyers team. Rated as one of Australian TV’s “most powerful and influential dealmakers”, Steve joins us after 17 years at FremantleMedia Australia and Asia Pacific where he was the Director of Commercial and Legal Affairs.  Steve has deep experience in project development, production, exploitation, financing, sponsorship and distribution across all platforms and media, as well as extensive, copyright, licensing , creative talent and commercial experience and has extstensive networks. We advise some of the industry's biggest & brightest. Our clients include Grammy and ARIA award winning musicians, Golden Lion award winning creative agencies, AACTA and Logie awarded television and film talent, international fashion houses, APRA|AMCOS winning composers, Emmy awarded production companies, media and entertainment companies, streaming services and technology platforms, labels, celebrity chefs, publishers, national festivals and local events, designers, authors, visual artists, influencers, content creators, venues, illustrators, top-rating radio presenters, managers, agents and industry bodies. Courtney Barnett, Flume, Gotye, Tame Impala, Kylie Minogue, AB Original, Amy Shark, Matt Preston, Isa Guha, Yassmin Abdel-Magied, Em Rusciano, The Design Files, VICE, Seventh Street Media, Cricket Australia, Future Classic, Jacky Winter Group, Josephmark, Christopher Doyle &amp; Co, Peking Duk, Vance Joy, Dune Rats, Ruel, Downtown Music Publishing, Native Tongue, Darkroom, Craig &amp; Karl, Benja Harney, Cord &amp; Berg, Entropico, Daniel Johns, Aldous Harding, Ian Strange, Nadia Hernandez, Anya Brock, Kim Kim Kim, Steaphan Paton, Gang of Youths, Hilltop Hoods, Scott Pickett, Projects of Imagination, Ellery, Matt Corby, McClymonts, Foster Type, Tristan Kerr, Bounce Patrol, Mighty Car Mods, Onelove, RUFUS DU SOL, Stella Donnelly, Chloe Ting, Simone Giertz, The Scranline, Wicked Witch, Beyond the Valley, Groovin’ The Moo, South Island Wine &amp; Food Festival, Rhythm &amp; Alps, Bolster, Planet Broadcasting, NB Content, Oh Yeah Wow, Projucer, Client Liaison, The Smith Street Band, The Teskey Brothers, The Black Seeds, Buxtock, Select Music, 123 Agency, Styalz Fuego, Pieater, AIR, IMNZ, MMF New Zealand, and many others! We've got the industry covered. Our combined experience means that we have the skill, deep networks, lateral thinking, and foresight to achieve the best commercial outcomes for our clients. We don’t just do the paperwork, we think creatively to develop strategic solutions and structure intelligent deals. We advise clients on all commercial matters from establishing the most appropriate legal structure to sales and acquisitions of businesses and assets. During the last five years, our firm has been instrumental in structuring and negotiating over $150 million in commercial transactions. Additionally, we guide clients through stakeholder and governance issues, investments and fundraising, corporations and partnership legislation, and act for clients in business affairs and board advisory roles. From exclusive publication rights for celebrity announcements, to brand endorsement deals, to takedown notices, we understand how to protect and extract the most value from image and brand rights. We advise on endorsements and sponsorships, advertising standards and marketing practices, celebrity appearances and publicity agreements, events and touring agreements, image use and infringement, management agreements, and trademarks. A highly technical area of law, we can help you protect your brand and personal reputation. We provide advice, issue concerns notices, letters of demand, and cease and desist notices, as well as litigation. We represent clients in respect of various reputational matters including defamation (both pre- and post-publication), passing off, misleading and deceptive conduct, injurious falsehood, misuse of personal image, and falsely implying an endorsement or sponsorship. We understand what goes into running and working with design and creative industries. We act for leading graphic and motion design firms, agencies, creative directors, photographers, artisan craftspeople and makers, painters, muralists, typographers, sculptors, and industry organisations. We assist clients with all commercial matters including services agreements, commissioning agreements, licensing and assignment of copyright, gallery-artist relationships, exhibitions and touring, employment and freelancing, releases, restraints and restrictions, non-disclosure agreements, copyright infringement, moral rights, value and charge-out rate advice, disputes, and everything else in between. From standalone websites and apps to gaming engines, we assist clients throughout all stages from idea inception to MVP to product launch to sales/acquisitions. We advise local and international companies in relation to website terms and conditions, software as a service agreements, online game of chance competition rules, Spam and Privacy Act compliance, and negotiating with collecting societies. In addition, we assist clients with funding applications, music and third party copyright clearances, cybersquatting, employment, contractor, and developer agreements, R&D advice, non-disclosure agreements, engine licences, and commercialisation of creative projects. We don’t just advise on the legal position in relation to HR matters but also the commercial realities of what it is to employ/contract or be employed in Australia or New Zealand. We draft and negotiate employment agreements and exits for companies, high-level executives at multinational entertainment, talent, fashion, and design companies and regularly attend Fair Work Commission conciliations. We also provide industry-specific advice in relation to workplace entitlements, intellectual property, confidentiality, employment restraints, as well as contractor vs employee hiring. We represent fashion houses that show at MBAFW, NYFW, and Paris Fashion Week and understand how and when the Copyright/Designs Act overlap occurs and what steps you need to take to exploit your designs and copyrights and protect them from infringement. We also represent clients in respect of manufacturing and fabrication agreements, distribution and supply agreements (exclusive and non-exclusive) with Australian and global retail and online outlets, licensing agreements, agency agreements, employment matters, outworkers agreements and advice, labelling, customs seizure, copycat or counterfeit merchandise, and all other related matters. There is a huge amount of risk involved when putting on a live event of any sort. We have an extensive client base of promoters, talent, booking agents, and venues. Having regularly acted for clients from all sides of the business, we have deep experience in the nuances of live performances and promoting. We have an extensive hospitality client list, including licensed venues, restaurants and cafes, celebrity chefs, and some of the most influential hospitality interior designers and architects. Our work includes advising on purchase and sale of businesses, employment, leasing, property purchase, venue fit-outs, television and event appearances, book and other publishing deals, sponsorships and endorsements, and other related matters. Intellectual property is the backbone of our practice. Whether it be creation, ownership, registration, transfer, licensing or protection of intellectual property (or ideas), we give our clients the assistance they need to protect or assert their intellectual property rights in Australia, New Zealand and throughout the world. Alongside representing our clients in respect of copyright matters, we handle some of the biggest trade mark portfolios in Australia and can assist with trade mark and designs searches, applications, adverse reports, oppositions, registrations and certifications. We have extensive experience litigating matters in all major Australian courts and tribunals relevant to our areas of practice. We bring a practical and commercial approach to dispute resolution. Our core business developed within the music industry, so we can assist with everything from deal negotiation to dispute resolution. Our clients include musicians, bands, songwriters, composers, producers, festivals, agents, managers, labels, publishers, distributors, streaming services, and content providers. Our clients often need legal assistance with matters outside of the entertainment industry. For many people, buying real estate will be their most significant investment. Our property lawyers are not only highly experienced in conveyancing, but are also across all areas of property law, contract law and other areas of the law which can be relevant to the sale, purchase or lease of commercial and/or residential property. In addition, we regularly advise and prepare paperwork in relation to estate matters (wills, probate, estate planning) and powers of attorney. We represent radio talent and producers as well as radio stations and streaming services. We advise in relation to employment and contractor agreements, codes of practice and conduct, and other matters relating to the Broadcasting Services Act 1992 and Classification (Publications, Films and Computer Games) Act 1995, including representing clients in respect of ACMA investigations and submissions. Thanks in part to streaming, content in shortform, longform, and limited format is being created and consumed more than ever before. We advise clients both in front of and behind the camera as well as all the other people that support the creation or distribution of content for both digital and terrestrial broadcast and communications. Our clients include streaming services, TV hosts, actors, media personalities, talent management entities, production companies, directors, writers, animators, composers, and distributors. Our services include advising on talent performers and key-creatives’ rights, agreements and releases, television format protection, script option rights agreements, classifications, and pre-broadcast defamation and explicit content review and advice. We represent journalists, publishers, and authors of books (fiction and non-fiction), magazines, columns, blogs, articles (longform and shortform) and other online and in-print publications in respect of rights, advances, royalties and how works get used and exploited in other mediums. We regularly advise clients in respect of publishing deals, co-author agreements, ghostwriters, literary agents, copyright infringement, exploitation of subsidiary rights, pre- and post-publication defamation review, and option agreements. We are the largest boutique entertainment law firm in Australasia and our team is amongst the brightest and most experienced in the industry. Whether you require some simple advice or need an adept international deal-maker, we will always help you achieve the best solution for your needs. 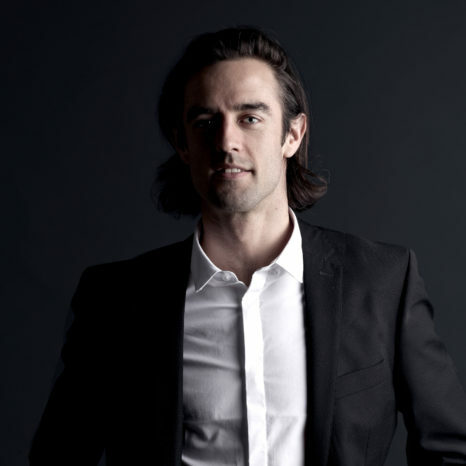 David is the founder of Media Arts Lawyers and Australia’s preeminent music lawyer. With over 25 years’ experience dealing in all facets of entertainment law, David represents many high-profile musicians, celebrities and entertainment companies. In addition, he oversees the firm’s general commercial practice and in the last five years he has concluded over A$100M in mergers and acquisitions including sales of entertainment businesses, festivals and sports tournaments. A passionate advocate for local music and creative industries, David chairs the board of Australian Independent Record Labels Association (AIR), is a board member of Australian Recording Industry Association (ARIA) and the Phonographic Performance Company of Australia (PPCA), and a past board member of the Melbourne International Film Festival (MIFF). Stephen practises in all facets of commercial and entertainment law; with a particular focus on music, particularly within the independent sector through his representation of the Australian and New Zealand label associations and numerous independent record labels within Australia, New Zealand and internationally. Stephen combines his legal knowledge with his vast experience in the music industry, including in private practice in the UK representing major artists, labels and industry bodies and in Australia as the Business Affairs Manager for Festival Mushroom Records. Stephen is a supporter of local music and provides pro-bono services to Music NT and Arts Law members. Stephen is a Director of Ink Music Publishing and the manager for international artist, Georgi Kay. Julian represents high profile musical talent, managers, labels, publishers, events and start-ups, and with a large overseas network has been instrumental in setting up international deals for his clients. He has been a musician signed to major and indie labels, and has a post-grad degree in corporate finance. In addition to his extensive music law practice, Julian represents film and television projects, studios, creative agencies, celebrity talent, media and tech companies, events, designers, and NGO’s. Yasmin practises in creative industries law, representing world-class graphic and motion design studios, agencies, illustrators, streaming services, visual artists, authors, managers, fashion designers, format and content creators, influencers, photographers, tv/radio talent, and app developers. Additionally, Yasmin has a strong employment law practice at the firm. Holding both a Juris Doctor (hons) and an MBA, Yasmin combines experience with expertise, industry insight, and a passion for the creative sector. Working in close partnership with her clients, she brings clarity to their legal rights and obligations, and advises with the intention of achieving the very best strategic and commercial outcome. Committed to giving back to the industry, she’s also a serving board member of The Lifted Brow, the former Secretary of the Creative Women’s Circle, and a Volunteer lawyer for the Arts Law Centre of Australia. Tania has considerable expertise in the management of local and global trade mark portfolios. She represents many high profile Australian and global companies operating in a wide range of industries including, entertainment, media, fashion, cosmetics, computer software, consumer goods, branding, health and fitness. She works with clients to secure, manage and defend their valuable brands in Australia and overseas. In addition to her trade mark specialisation, Tania practices in the areas of general commercial, intellectual property, media and entertainment; with a particular focus on talent representation, hospitality and creative industries. Having been legal counsel for the likes of Southern Cross Austereo, Marsh Insurance and the Australian Securities & Investments Commission, Tania has provided valuable input on a vast array of commercial matters, negotiating high level agreements and working closely with executives in the delivery of practical solutions from both a commercial and regulatory perspective. Tania holds a Bachelor of Laws, a Bachelor of Commerce (Management), a Graduate Diploma in Communications Law and is a Registered Trade Mark Attorney. Rob Glass joined the firm in 2014, having previously worked at a Chambers and Legal 500 listed intellectual property firm in Australia and a commercial firm in New Zealand. Rob draws on more than 10 years experience working in the music industry to provide pragmatic legal advice to some of Australia’s leading DJs, producers, managers, labels and events, drafting and negotiating the deals that form the backbone of the business. Rob’s digital media experience has included working with technology clients, design studios, software and app developers, and online content distributors drafting documentation and structuring deals for new and established businesses. Marcus has experience in all facets of entertainment and commercial law and as a litigator having practiced both in Australia and the UK. With his practice focused primarily on the music industry, Marcus has represented high profile artists, managers, producers, labels, publishers, festivals, events and start-ups throughout the world, and with a particular interest in working with new and emerging talent he has assisted in procuring, negotiating and advising on local and international deals for his clients. Marcus also runs independent label and management company ‘We Are Golden’. Sarah’s practice focuses on the financing, production and exploitation of audio-visual content. She has acted for studios, mini-majors, independent production companies, financiers, public film bodies and distributors. Sarah advises clients on structuring and financing individual productions, accessing national film and television tax reliefs, international co-production treaties, slate co-financing arrangements, development, production and distribution agreements and chain of title issues. In addition she advises entertainment companies on general corporate activities, including banking facilities and buying and selling content libraries. 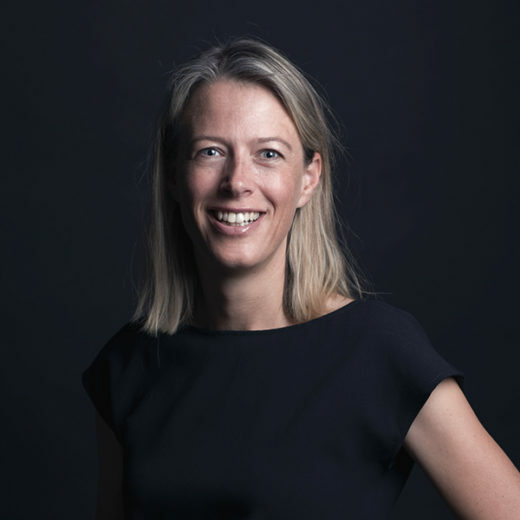 Sarah joined the firm in 2018 following practising for over ten years in London where she worked in both private practice and at the British Film Institute. Having worked at entertainment industry, IP and commercial law firms for over 10 years, Amanda brings a wealth of knowledge and experience. Practising across the spectrum of defamation, commercial law, IP and entertainment industry law matters, Amanda’s particular focus is on defamation, commercial law, disputes and litigation. Amanda represents clients from all corners of the commercial and creative industries including media outlets, festivals, promoters, comedians, artists, musicians, game developers, and various other commercial entities. Her three years as assistant editor of Heavy Music Magazine and current involvement in the local music scene managing artists and running events provides her with a unique perspective that allows her to best understand and anticipate the needs of her clients. Amanda holds a Bachelor of Laws and a Bachelor of Arts majoring in Music Business Management. Kristin commenced her legal career in a tier 1 Intellectual Property group at a leading national independent law firm. Kristin’s experience includes successfully acting in a high profile defamation trial in the Supreme Court of Victoria for an Australian entertainment client, which saw the largest first instance award of damages under the uniform defamation laws. She also has experience working across a range of IP areas, including trade marks, copyright and consumer law issues, working to protect the rights of well-known household and luxury brands, including international fashion houses. Kristin holds a Bachelor of Arts and Bachelors of Laws (Honours) from the University of Western Australia. With a background in Sydney’s independent theatre scene, Jessica’s experience and knowledge in the performing arts provides her with unique insight into the commercial realities of live performance, including all aspects of the production from cast agreements to music licensing. Jessica has a passion for intellectual property law and deals with matters concerning the creation, protection and enforcement of such rights across the firm’s core practice areas. Jessica holds a Bachelor of Arts in Communication/ Bachelor of Laws (First Class Honours) from the University of Technology, Sydney. Yasmin has a background in public broadcasting, having previously worked with the Australian Broadcasting Corporation and the Special Broadcasting Services. Yasmin joined the Media Arts Lawyers in March 2019 after working for the last two years as a copyright lawyer for the Australian Copyright Council, a not-for-profit organisation supporting Australian artists and creators. In her previous roles, Yasmin has lectured and provided legal advice services to creators and content-users across Australia. She is also a published author and a musician, classically trained in the violin and also works in music production. Yasmin holds a Bachelor of Law/Bachelor of Arts (International Relations & Politics) from the University of Notre Dame Australia. Chloe has a background in events and the creative industries having worked with clients in the areas of hospitality, fashion, design, production and media. Chloe joined Media Arts Lawyers whilst completing her Bachelor of Laws and Bachelor of Commerce (Management). Chloe has a keen interest in intellectual property law, particularly in relation to trade mark matters and in the areas of film and television. Rated as one of Australian TV’s “most powerful and influential dealmakers”, Steve joins us after 17 years at Fremantle Media Australia and Asia Pacific where he was the Director of Commercial and Legal Affairs. 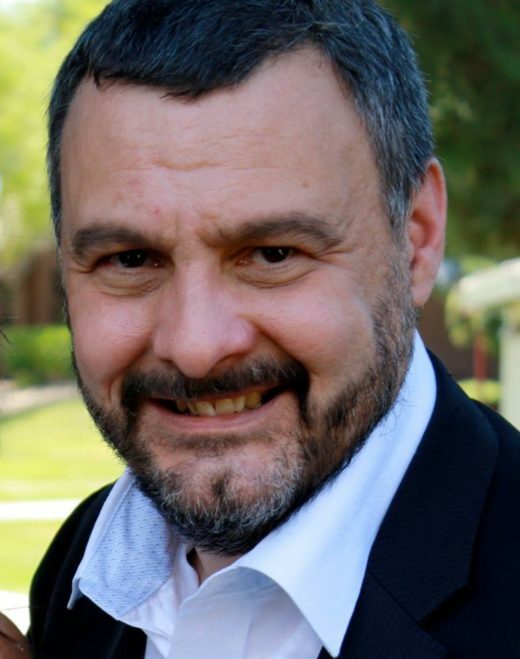 Steve has deep experience in project development, production, exploitation, financing, sponsorship and distribution across all platforms and media, as well as extensive, copyright, licensing , creative talent and commercial experience and has extensive networks. Maria has over 25 years in the entertainment industry specialising in finance and business management and has served as the firm’s Chief Financial Officer since 2006. In addition, Maria is the General Manager of The Australian Independent Record Labels Association (AIR), Director of Results Management (a company she founded in 1994) and, more recently, Chair of the Creative Industry Advisory Board for the Australian Institute of Music (AIM). Maria has also previously held positions as CEO and CFO of the Melbourne International Film Festival (MIFF) and as a board member of Music Victoria. Feel free to phone, email or make an appointment to see us. Our normal office hours are between 10.00 am and 6.00 pm. We generally hire people who we have previously worked within the legal field (with at least 3 years PAE) or broader entertainment industry. That said, we’re interested to hear from people who we don’t know yet, but should be on our radar.